Russia may drastically shrink its registry of “foreign agents” – non-governmental organizations (NGOs) that receive foreign funding and political activities, Russia’s Kommersant newspaper reports. The government will likely remove half of the organizations from the registry following an analysis of the law’s application by a presidential administration working group. More than 50 NGOs have already been removed from the registry and 33 more “have grounds to request the Justice Ministry remove them,” Mikhail Fedotov, head of the Presidential Human Rights Council (PHRC), told the Kommersant daily. 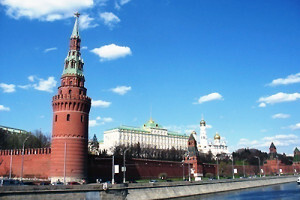 In January, Russian President Vladimir Putin ordered the administration to analyze the foreign agent’s law by March 30. Since its enactment in July 2012, the controversial law has crippled many NGOs, forcing them to forgo foreign funding or endure frequent inspections and a stigmatizing label. The law has also faced criticism for its imprecise phrasing. In 2015, Putin ordered the presidential administration working group to clarify the meaning of “political activity” in the law. The working group fulfilled that order, but “purely on a formal level. The real problems only got worse,” Fedotov said. The latest analysis aims to correct some of the problems. However, it is already facing criticism. Many well-known NGOs that no longer receive foreign funding did not make it into the list of 33 candidates for removal from the registry, Ilya Shablinsky, a member of the PHRC presidium told Kommersant. Instead, the Justice Ministry is “trying in every possible way not to remove them,” he added. Shablinsky cites the Golos election monitoring organization, which no longer receives foreign funding, as an example. One of its employees recently traveled to a conference in Lithuania and the conference organizers covered some of his expenses. The Justice Ministry subsequently described this as foreign funding. The PHRC will discuss the results of the administration’s analysis with Sergei Kiriyenko, the president’s deputy chief-of-staff, in the near future. The council has frequently suggested altering the law, but this idea has found little support in the presidential administration. “Previous attempts [to change the law] have had the opposite effect: The law only got worse,” Fedotov said.